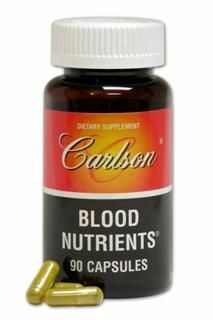 This formula is a great tasting natural remedy for children and adults. 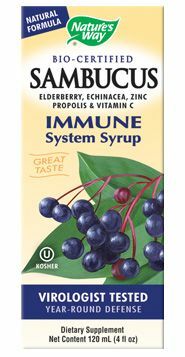 It combines standardized, Bio-Certified black elderberry extract, vitamin C, zinc, echinacea angustifolia (root), echinacea purpurea (flower) and natural flavor in a base of sucrose, fructose, magnesium stearate and silica.Sambucus Lozenges feature the immune-boosting black elderberry extract, discovered by Dr. Mumcuoglu as key in the body's ability to fight disease. 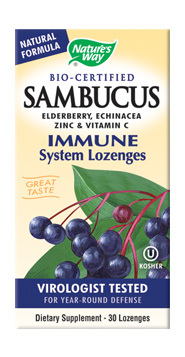 Sambucus Lozenges are especially helpful during winter months when common colds and flu are prevalent. 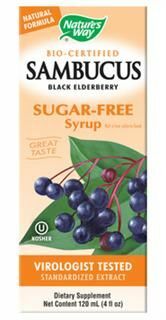 When taken after getting a cold or the flu, Sambucus Lozenges form Nature's Way help the body to heal itself more quickly while preventing additional bouts of illness. The elderberry extract found in Sambucus Lozenges has also been shown to protect against viral infections and upper respiratory infections. For Daily Maintenance: Adults: Take 1 lozenge 1-2 times daily. For Intensive Use: Adults: Take 2 lozenges twice daily.